Sunshine Week celebrates—and advocates for—the public's access to government information. Established by the American Society of News Editors and the Reporters Committee for Freedom of the Press, its marked by lots of organizations, from the National Archives to Open the Government. In an editorial lauding access to information, the Seattle Times links to investigative stories that were made possible by access to government information. Sunshine Week: Government Records Belong to the Public, Seattle Times (March 12, 2018). So much for the metaphorical sense of "sunshine." 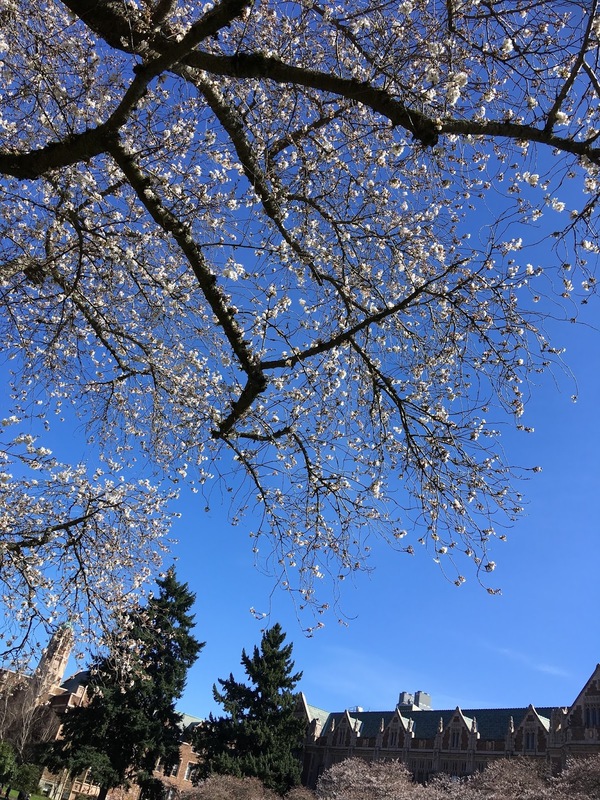 Those of you who have had your heads down, powering through finals, might not have noticed that we have had literally had sunshine this week. It's pretty nice. 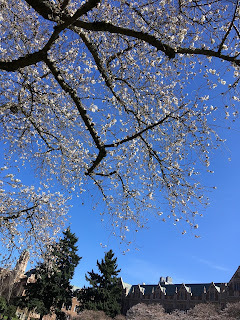 And the cherry trees on the Quad are coming into bloom. 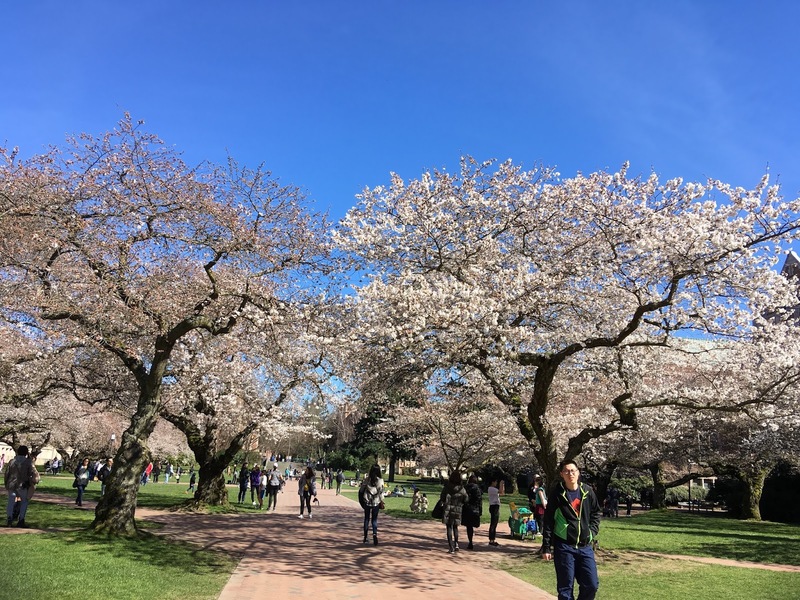 Now that you've reached Spring Break, take the opportunity to go outside and enjoy the sunshine! Or, as might come up, according to weather.com, Mostly Sunny, Mostly Cloudy, Partly Cloudy, Mostly Sunny, and Showers, . . . Happy Pi Day, Private Investigators! Today (3.14) is affectionately known as Pi Day because the date is the same as the first digits of π. Two years ago, we marked the occasion by offering some information about PI (personal injury) practice. Today, we look at another PI: private investigators. Nancy Drew and the Hardy Boys probably didn't get licensed, but maybe they should have. In Washington, licensing PIs is handled by (who else?) the Washington State Department of Licensing, which also licenses for professions as diverse as professional boxers, cosmetologists, and scrap metal recyclers. There are separate licenses for PI agencies, unarmed PIs, armed PIs, and certified trainers for aspiring PIs. An exam covers Washington State laws (e.g., on surveillance and criminal law), federal laws (e.g., FOIA and the federal Privacy Act), court systems, and legal procedures and definitions. Applicants have to undergo a minimum of four hours of training. WAC 308-17-300. And just like the PIs in some of the books and movies, licensed private investigators are supposed to carry their license cards whenever they are "performing the duties of a private investigator" and show it upon request. RCW 18.165.080. Graphic: "He looked round him in surprise," drawing from Conan Doyle, The Hound of the Baskervilles: Another Adventure of Sherlock Holmes, Strand Mag., April 1902, at 243, 252, available on Google Books. Due to a staffing emergency, the law library is closing to the public at 12:00 PM on Thursday, March 15. The library Circulation Desk will still be staffed for UW Law students, faculty, and staff. We apologize for any inconvenience this may cause to visitors. In honor of International Women's Day, I went browsing in HeinOnline's Women and the Law Collection. Subtitled Peggy, honoring the mother of one of the developers, this collection has a rich variety of documents, from nineteenth-century suffrage tracts to recent law review articles. 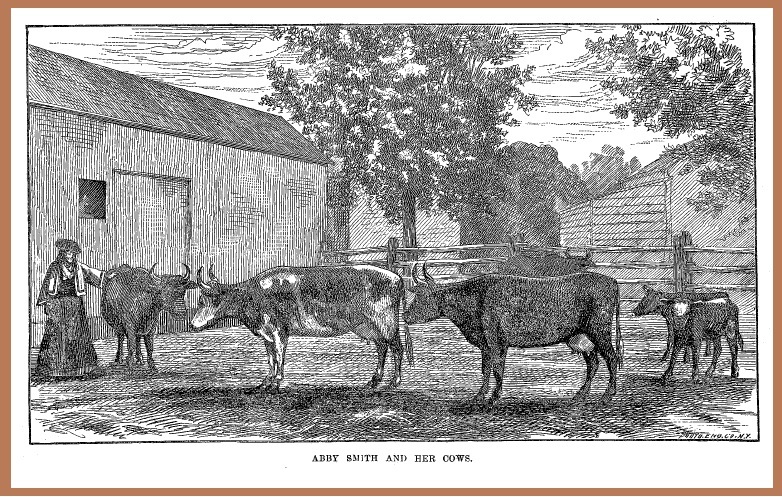 Under "Legal Rights & Suffrage," I came across Abby Smith and Her Cows, with a Report of the Law Case Decided Contrary to Law, a tract published by Julia Smith in 1877. Abby and Julia were sisters who inherited a farm in Glastonbury, Connecticut, from their father. After paying taxes for some time, they began to ask why they had no say in the government that assessed the taxes and sent the tax collector. The sisters launched a tax protest which led to extensive attention in the papers and three court proceedings. I just skimmed it so can't relate the details, but it offers an interesting peek into life and law.
. . . or search for any topic you want. It's an amazing collection! In case you have not yet heard, Grumpy Cat, won a copyright case! Grumpy Cat started as an internet meme and has grown into a money maker. The Grumpy Cat shop has puzzles, t-shirts, mugs, even a Little Golden Book. According to the complaint, Grumpy Cat has "starred in her own Lifetime Television Christmas movie. . . ."
Grumpy Cat Limited v. Grenade Beverage LLC was filed in Federal District Court in the Central District of California in 2015. The case revolved around a dispute over the use of the "Grumpy Cat" brand by Grenade Beverage LLC, and this week, the jury found for Grumpy Cat. The complaint itself is worth reading. It alleges, "Ironically, while the world-famous feline Grumpy Cat and her valuable brand are most often invoked in a tongue-and-cheek fashion, Defendants' despicable misconduct here has actually given Grumpy Cat and her owners something to be grumpy about." Law students: This case is not over! The counterclaims will continue to be litigated. If you are interested in reading more about the case and stretching your legal research legs at the same time, look up the docket information with docket number 8:15-cv-02063-DOC-DFM. The commercial contracts of Westlaw and Lexis some have docket information, but for law students Bloomberg Law is the way to go. Interested in Copyright Law? Check out these guides: Copyright Law: Primary Sources and Copyright Law: Secondary Sources. Need more legal fun in your life? Check out our Judicial Humor Guide! Want to know more about how to track and access docket information? Check out these guides: Staying Current and Judicial Branch Publications: Briefs, Oral Arguments & Dockets.